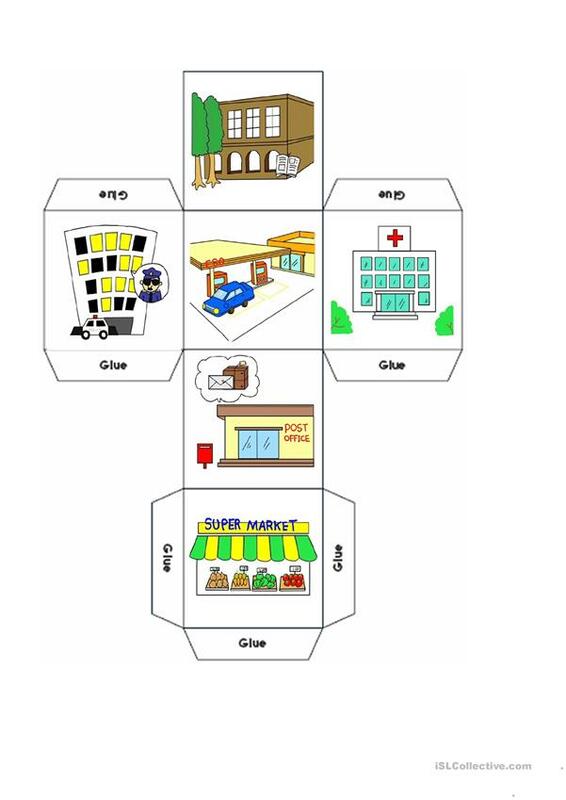 In this game, students make a die (dice) that has pictures of places in their community on it. After making the die, they roll it, using the game sheet to track how many times each place comes up on top. I use a stamp to mark the worksheet, but you can use stickers, draw a check-mark, or even laminate the sheets and use dry-erase marker on them. My students love this game! Also see my dice games for school items, vehicles, and parts of the body. This downloadable worksheet is intended for high school students, elementary school students and kindergartners and nursery school students at Beginner (pre-A1), Elementary (A1), Pre-intermediate (A2) and Intermediate (B1) level. It was designed for working on your students' Speaking skills. 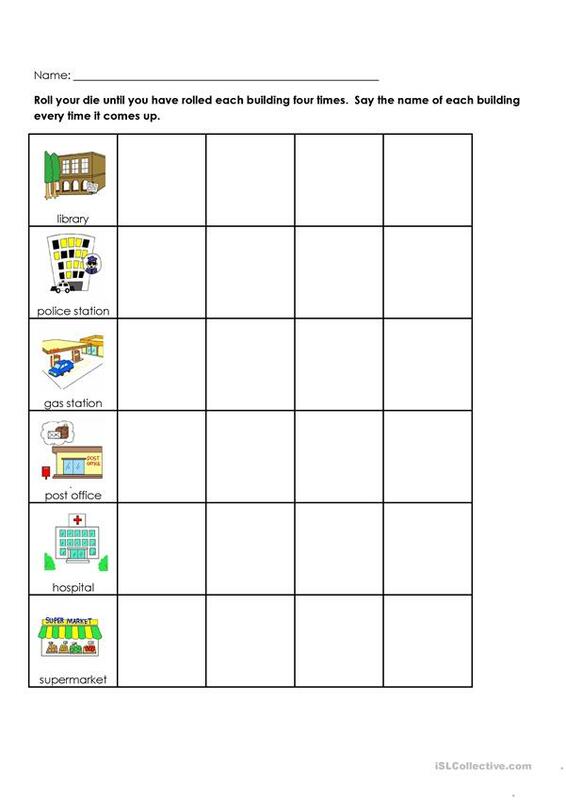 It centers around the vocabulary topic of Places.